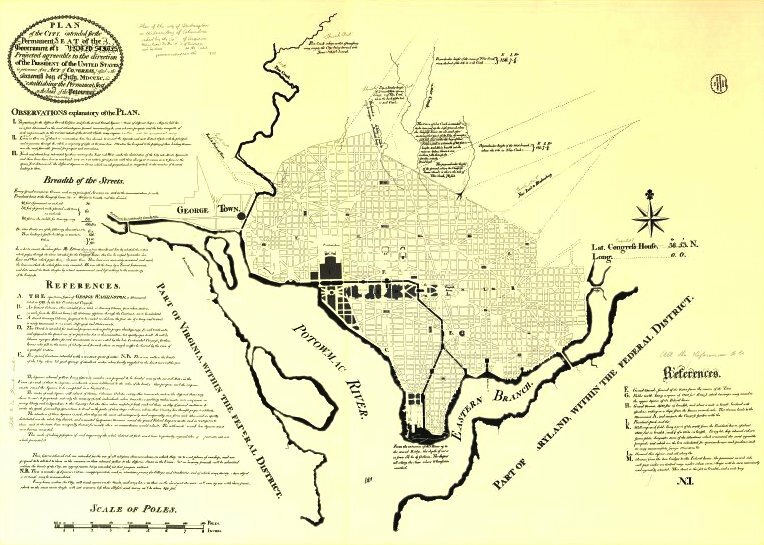 The earliest map was the L'Enfant Plan, made before the city existed. Here is a collection of all the important city maps, going back to 1792. Not the answer you're looking for? Browse other questions tagged united-states maps reference or ask your own question.